or my inability to update this week . Our family appreciates your prayers. Image: "Breath Will Come to the Desolate Bones"
Preaching This Week at WorkingPreacher.org, Luther Seminary, 2014. 2011.2008. "The Now of Resurrection," D. Mark Davis, Left Behind and Loving It, 2014. "Hope Against All Hope," SAMUEL, Kathryn Matthews Huey, Sermon Seeds, UCC, 2017. The Lectionary Lab, Lent 5A, the Rev'ds Dr. John Fairless and Delmer Chilton (aka "Two Bubbas and a Bible"), 2014. Lectionary Lab Live podcast. Evangelectionary, Leah Bradley, Evangelism Connections, 2014. Ministry Matters, March 30, 2014. Comments (commentary) and Clippings (technical notes for in-depth study), Lent 5, Chris Haslam, Anglican Diocese of Montreal. Girardian Reflections on the Lectionary, Lent 5, by Paul Nuechterlein & Friends. Preaching Helps (Lent 5). Rev. Dawn Chesser, United Methodist Church General Board of Discipleship, 2014. Jesus Now, Lent 5. Lectionary, study and worship resources from Faith Futures Jesus Then & Now. Rumors, March 9, 2008, Ralph Milton, "Sermon helps for preachers with a sense of humor." The Lectionary Lab, Lent 5A, the Rev'ds Dr. John Fairless and Delmer Chilton (aka "Two Bubbas and a Bible"), 2011. The Center for Excellence in Preaching, resources from Calvin Theological Seminary: Comments & Observations, Textual Points, Illustration Ideas, 2014. "Silence and the Word," Nancy Rockwell, The Bite in the Apple, 2017. "A Short Death," Glenn Monson, Law and Gospel Everywhere, 2017. Living by the Word, Christine Chakoaian, The Christian Century, 2017. Exegesis, Timothy Schehr, Mount St Mary's Seminary, 2017. Reflection, Activity and Image, Fay Rowland, 2017. LectioCast - Homebrewed Christianity, 2017. The Vinyl Preacher, Zaach Parris and Matt Keadle, iTunes, Soundcloud, 2017. Tuesday Lectionary Leanings, Dry Bones Edition, RevGalBlogPals lectionary discussion, 2014. "Present-Tense Salvation," David Lose, Dear Working Preacher, 2014. "Rewrite those Epitaphs," Lisa Nichols Hickman, ON Scripture, Odyssey Networks, 2014. Video: "How Do You Want to Be Remembered?" "Death Threat," Alyce M. McKenzie, Edgy Exegesis, 2014. 2011. "Becoming Whole Again," John C. Holbert, Opening the Old Testament, 2014. 2011. "Remembering Death, Confessing Life," Dan Clendenin, Journey with Jesus, 2014. 2011. 2008. 2005. "Take Away the Stone," Suzanne Guthrie, At the Edge of the Enclosure, 2014. "We All Stink," Katie Munnik, Presbyterian Record, 2014. "Big Deal," David F. Sellery, 2014. "Mindset," Sharron R. Blezard, Stewardship of Life, 2014. 2011. 2008. "Love That Has No Limits," Andrew King, A Poetic Kind of Place, 2014. "God and Graves," Anna Macdonald Dobbs, Ekklesia Project, 2014. Lectionary Notes, Lent 5, Beth Quick, 2014. "Lectionary Ruminations," John Edward Harris, Summit to Shore, 2014. "She's Going to Be All Right," Bob Stuhlmann, Stories from a Priestly Life, 2014. The Preacher's Study, John W.B. Hill and Angela Emerson, The Associated Parishes for Liturgy and Mission, 2014. 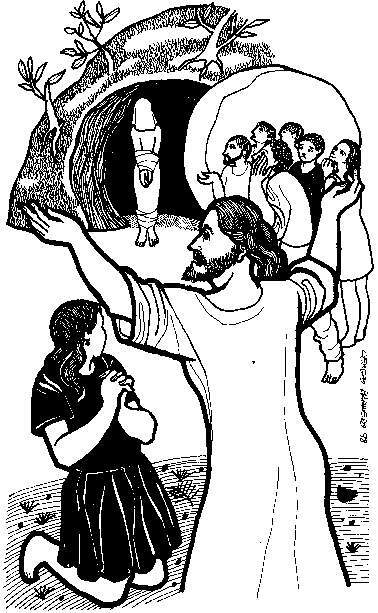 "I Am the Resurrection," Bob Cornwall, Ponderings on a Faith Journey, 2014. "Lazarus Who?" Christopher Burkett, PreacherRhetorica, 2014. "Powerful Love Given," Thomas Beam, 2014. "Looking for Crocuses," Janet H. Hunt, Dancing with the Word, 2014. "Rise from the Dead," Rick Morley, 2014. Care for Creation Commentary, Dennis Ormseth, Lutherans Restoring Creation, 2014. Liberal Lectionary Resources, Rev. Bryan Jackson, 2014. "Snorting at Death," Debra Dean Murphy, The Ekklesia Project, 2011. 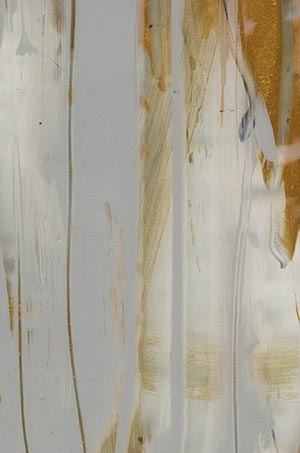 "It Is Never Too Soon to Give Up Hope," Peter Woods, I Am Listening, 2011. "The Cost of Living," John van de Laar, Sacredise, 2011. Lectionary Blogging, Lent 5, John Petty, Progressive Involvement, 2011. "Just Like That," Neil Chappell, aweirdthing, 2011. Liberal Lectionary Resources, Chris Ayers, 2011. The Painted Prayerbook, Learning the Lazarus Blessing, Jan Richardson, 2011. Use of images. "Verbs," David Lose, WorkingPreacher, 2011. "Bones, Boldness, and Belief," Sharon R. Lucas, Stewardship of Life, 2011. Dylan's Lectionary Blog, Lent 5. Biblical Scholar Sarah Dylan Breuer looks at readings for the coming Sunday in the lectionary of the Episcopal Church, 2005. "The Confession of Saint Martha," Susan Russell, Proclaiming Gospel Justice: Reflections on the Scriptures and Progressive Spirituality, The Witness, 2005. "Freedom from the Fear of Death," Mark MacDonald, Proclaiming Gospel Justice: Reflections on the Scriptures and Progressive Spirituality, The Witness, 2005. "He Waited Two More Days!?" by Will Willimon. A Sermon for Every Sunday. Video sermons from America's best preachers for every Sunday of the Liturgical Year. "Give Faith a Chance," Sil Galvan, 2017. "When God Weeps," the Rev. Duane Steele, Day 1, 2014. "The Waiting Is The Hardest Part," the Rev. Joshua D. Bowron, Sermons that Work, Episcopal Digital Network, 2014. 5 Cuaresma (A) – 2014 POR EL RVDO. GONZALO ANTONIO RENDÓN-OSPINA, Sermones que Iluminan. "Lazarus," Frederick Buechner Sermon Illustrations. "The Road to Easter Runs through a Cemetery," the Rev.Dr.Wiley Stephens, Day 1, 2011. "Unbind Him and Let Him Go!" the Very Rev. Samuel G. Candler, Day 1, 2008. "Whenever Jesus Shows Up," the Rev. Dr. Wiley Stephens, Day 1, 2005. "Hope Against All Hope," Weekly Seeds, UCC, 2017. "Hope in the Darkness," Faith Element, 2014. "Breath of Hope/Raised Up" Weekly Seeds, UCC, 2014. Bible Study, Lent 5, 2014, Eileen O'Brien, Sermons that Work, Episcopal Digital Network. Estudio de la Biblia. 5 Cuaresma (A) por Eileen O'Brien, Sermones que Iluminan, 2014. "The Meaning of Vocation," A.J. Conyers, (other resources at) "Vocation," Christian Reflection, The Center for Christian Ethics at Baylor University, 2004. Resources and Images on The Text This Week's Lenten Resources page. Worship Planning Helps (Lent 5): Worship & Preaching Notes, Hymn Suggestions and Worship Resources from the United Methodist Church General Board of Discipleship. LCA Worship Planning Page, Lent 4, 2014. "Everything lay-readers need to prepare worship." Lectionary Liturgies, Lent 5A, Thom M. Shuman, Presbyterian Church (U.S.A.), 2014. Worship resources for Lent 5 by Dallas A. Brauninger from SermonSuite. Worship Resources, Rev Mindi, Rev-o-lution, 2014. Mustard Seeds, "The Power of God/God's Big Surprises," Lent 5, 2014. A lectionary-based ideas resource for leaders of contemporary worship, Ann Scull, Gippsland, Australia. Worship and Liturgy Resources, Lent 5, by Rev David Beswick, Uniting Church in Australia. Liturgy for the Celebration of Life, Lent 5A, 2011. Liturgies from a Progressive/Post-Liberal Theology, Revd Rex A.E. Hunt, Uniting Church in Australia. Lector's Notes, Lent 5, Gregory Warnusz, Saint Jerome Parish, Bellefontaine Neighbors, MO. Notes and commentary for those reading this week's lectionary texts to the congregation. Liturgical Planning and Music Suggestions, Lent 5, CanticaNova Publications. Laughing Bird Liturgical Resources, Lent 5, by Nathan Nettleton, South Yarra Community Baptist Church, Melbourne, Australia. Prayers, blessings, Eucharistic prefaces and scripture paraphrases. The Billabong, Lent 5, by Rev Jeff Shrowder, Uniting Church in Australia: Hymn suggestions and paraphrases of lectionary Psalms. Prayers of the People, Lent 5, General intercessions for Sundays and Feasts, by Ormonde Plater, Archdeacon of the [Anglican/Episcopal] Diocese of Louisiana. Creative Closing, Lent 5, George Hartwell, at Richard J. Fairchild's Sermon & Lectionary Resources. Calls to Worship, Barbara Jamieson, Flint Hill UMC, Virginia. The Timeless Psalms: Psalm 130, Joan Stott, prayers and meditations based on lectionary Psalms, 2011. 21st Century Worship Resources, Lent 5, UMCDiscipleship.org. Offertory Prayers, Lent 5, UMCDiscipleship.org. Worship Resources, Anna Shirey, Anna's Hosannas, Lent 5A, 2011. Sunday Prayer Lent 5A, Terri, RevGalBlogPals, 2011. Prayers of the People, Richard J. Einerson, 2014. The Timeless Psalms: Psalm 130, Joan Stott, prayers and meditations based on lectionary Psalms, 2014. HermanoLeón Clipart, Lent 5. Free clipart, backgrounds, slides, etc. Clip Art Images: John 11:1-45, Misioneros Del Sagrado Corazón en el Perú. Clip Art, Lent 5, Fr. Richard Lonsdale, Resources for Catholic Educators. Lent 5 at Cerezo Barredo's weekly gospel illustration. Follows Latin American Roman Catholic gospel reading, though most gospels texts/themes are found in the index. Liberation emphasis. "O Death," sung by Ralph Stanley, YouTube video. Lyrics. "In the gospel lesson the raising of Lazarus marks the turning point in the enemies of Jesus campaign to destroy Jesus. This is similar in Cool Hand Luke to Luke's running away from the prison camp a third time is the deciding factor in his captors' decision to kill him." Ed Mc Nulty, VIsual Parables. You, O Christ, Are Resurrection Text: Carolyn Winfrey Gillette, Tune: BEACH SPRING 8.7.8.7 D (“God Whose Giving Knows No Ending”) A new hymn based on John 9:1-41 that was written for The Presbyterian Outlook magazine for Lent 2011 and available with the music. "Trust in His Eternal Care," TEXT: Mark Ryman (2005) based on John 11:1-45. TUNE: "Regent Square." New Hymns for the Lectionary. Hymns of the Spirit Three, Lent 5A, Richard E. Hurst, Universalist National Memorial Church. "From the Depths, I Cry to You," lyrics, midi, sheet music, mp3. Stephen J. Pearson, The Psalmistry. Psalm 130 set to Martyrdom (CM 86 86) by Dale A. Schoening, Metrical Psalms. "Out of the Depths - Psalm 130," Anna Shirey, Anna's Hosannas, 2011. Hymn and Song Suggestions, Lent 5, 2014, annotated suggestions from Natalie Sims, Singing from the Lectionary. Lectionary Hymns, Lent 5, UMCDiscipleship.org. Shepherd Sounds, Lent 5, Background information for hymns and choral music following the lectionary from the Episcopal Church of the Good Shepherd, Austin, Texas, by Eric Mellenbruch and David Zersen. Puzzle Pages, Fay Rowland, 2017. Weekly Devotions, Faith Formation Journeys, 2014. Lectionary Puzzles, Lent 5. Word search puzzles in RTF or plain text, by Reg McMillan, St.Stephen's Presbyterian Church, Peterborough, Ontario. Worshiping with Children, Lent 5, Including children in the congregation's worship, using the Revised Common Lectionary, Carolyn C. Brown, 2014. 2011. "Storypath Lectionary Links: Connecting Children's Literature with our Faith Story," April, 6, 2014, Union Presbyterian Seminary. Connections: Ezekiel 37:1-14 and The Boy Who harnessed the Wind by William Kamkwamba and Bryan Mealer, Romans 8:6-11 andWould You Rather Be a Bullfrog? by Dr. Seuss, John 11:1-45 and Bridge to Terabithia by Katherine Paterson. 2011. "Calling for You," Fran Woodruff, On The Chancel Steps, 2014. After Grandma Died -- Children's sermon/story by Janice B. Scott based on John 11:1-45 from SermonSuite. "Bag of Rocks," video, John Stevens, Dollar Store Children's Sermons, 2014. Does God Recycle?, Anna Shirey, Anna's Hosannas, Children's Lesson for Lent 5A, 2011. Story for Children's Worship and Family Activity, Lent 5, at word-sunday.com: A Catholic Resource for the Lectionary by Larry Broding.